Foresters along the park’s edge have seen a tenfold increase in beetle infestation in just months, and some scientists wonder if Parks Canada could have done more to control the invasion a few years ago. In an emailed statement, Parks Canada said it has had a beetle management plan for the park since 2015 that includes prescribed burns and tree removal. Too little, too late, said Carroll. 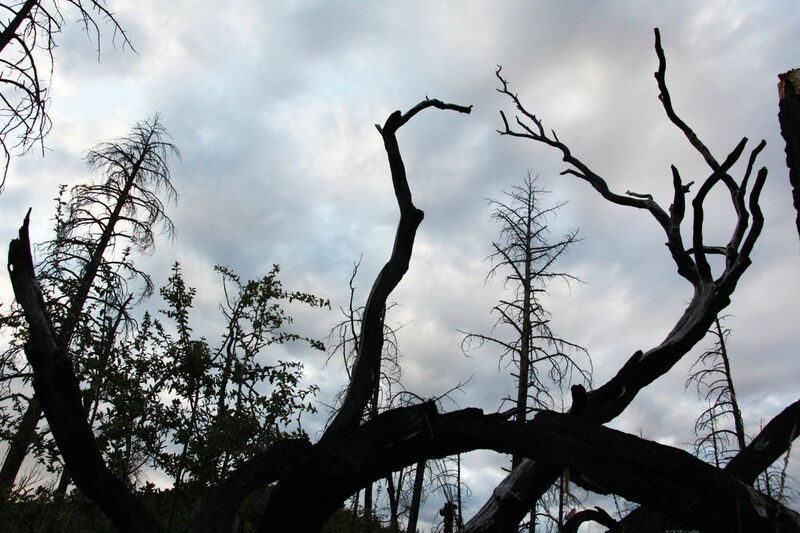 Whether it comes to bark beetles, forest fires, migrating birds, elk or deer — what you want are forests with patches thick with trees, open areas and hillsides burned decades ago. This conclusion has emerged from a series of recent studies on bark beetles and tree densities. 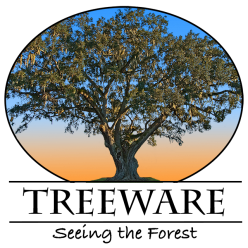 The studies support the underlying logic of the Four Forest Restoration Initiative (4FRI), an ambitious effort to use a reinvented, small-tree logging industry to thin the forest and diversify the landscape. The project has lagged far behind the schedule needed to thin the first installment of 300,000 acres, mostly because the 4FRI contractor Good Earth has struggled to build up the infrastructure needed to thin 30,000 to 50,000 acres annually. However, recent research validates the underlying blueprint for 4FRI, which would dramatically lower tree densities in the ponderosa pine forests, while creating a landscape with denser patches separated by a wide-open, thinned forest. 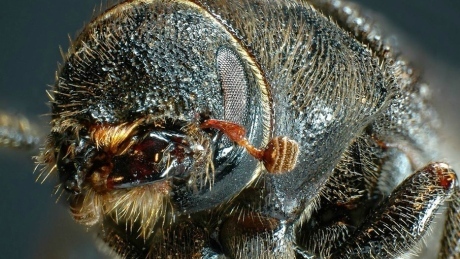 One strategy to control the spread of mountain pine beetles in Banff National Park sometimes does the opposite, a study by a University of British Columbia researcher shows. While pheromone baiting followed by tree removal — purposefully attracting the pests to a tree, which is then cut down in winter when the larvae are trapped inside — can be successful where there is a dense population of beetles, the strategy can increase the number of beetles in some areas of the Canadian Rockies, according to mathematical modeling led by Rebecca Tyson, an associate professor of mathematics at UBC’s Okanagan campus. “What our study found is that where the beetle population is low, the pheromone is actually attracting more beetles and thus helping the beetle population increase,” said Ms. Tyson, whose research was recently published in ScienceDirect. 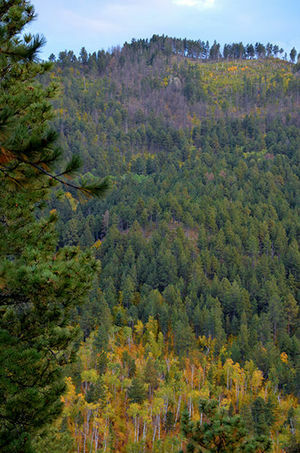 DEADWOOD — In roughly two decades, the Black Hills mountain pine beetle infestation has decimated approximately 215,000 acres of pine trees in the Black Hills, leaving drastically changed woodlands in its wake.